By James Whittle M.S., L.Ac. Matcha weight loss strategies are becoming more popular as people try to lose stubborn fat and as obesity rates are on the rise. 2. Matcha suppresses appetite. People who drink matcha report less sugar and carb cravings, and their overly-active appetite is suppressed. Recent research has concluded that a combination of fiber, caffeine, green tea catechins and theanine could be responsible for decreasing carb and sugar cravings. This appetite suppression helps in the matcha weight loss strategy. 4. Matcha calms stress. Lowering cortisol and adrenaline levels is important of any weight loss plan. The theanine in matcha helps keep the brain in alpha state which increases relaxation and reduces stress hormones. Stress hormones cause a person to put on more fat tissue, so by calming the mind, matcha helps weight loss. 5. Matcha reduces inflammation. Called “The Silent Killer” by Time magazine, inflammation has become an epidemic in the United States. There is a relationship between inflammation and obesity, and matcha green tea, which is abundant in polyphenols, reduces inflammation. EGCG, one of the most potent anti-inflammatory polyphenols found in nature, is extremely abundant in matcha green tea. 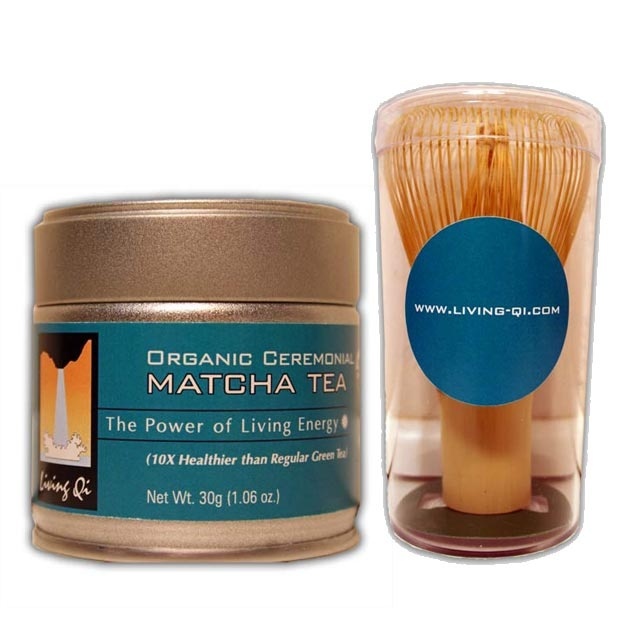 In fact, one gram of living qi matcha contains approximately 66mg of EGCG and 30mg of epigallocatechin. 6. Matcha helps detoxify the liver and purify the blood. A recent study showed that rats fed food laden with toxic PCBs, that also were fed 4 grams of matcha green tea, excreted four times the PCBs than the control group. The study demonstrates that matcha can possibly help you release toxins stored in fat tissue. I have worked with thousands of patients trying to lose weoght, and if a person is harboring toxins in their fat tissue, they have a hard time losing weight until the detox their livers. 7. Matcha kills candida. Candida is a yeast and a parasite that presents multiple problems for people trying to lose weight. Candida enhances sugar cravings which makes you want to eat more refined and processed foods containing large amounts of sugar. Matcha green tea helps kill yeast and candida, cleaning your GI tract of yeast parasites. Also matcha benefits the good bacteria that live in our guts, and can enhance the effectiveness of probiotics. By killing candida and benefitting the guy microflora, matcha also helps the liver to detoxify and purify the blood. To buy USDA certified organic matcha you can go here. 1. Dulloo AG, Duret C, Rohrer D, Girardier L, Mensi N, Fathi M, Chantre P, Vandermander J. Efficacy of a green tea extract rich in catechin polyphenols and caffeine in increasing 24-h energy expenditure and fat oxidation in humans. Am J Clin Nutr. 1999 Dec;70(6):1040-5. PubMed PMID: 10584049. 2. Carter BE, Drewnowski A. Beverages containing soluble fiber, caffeine, and green tea catechins suppress hunger and lead to less energy consumption at the next meal. Appetite. 2012 Dec;59(3):755-61. doi: 10.1016/j.appet.2012.08.015. Epub 2012 Aug 23. PubMed PMID: 22922604. 3. Liu K, Zhou R, Wang B, Chen K, Shi LY, Zhu JD, Mi MT. Effect of green tea on glucose control and insulin sensitivity: a meta-analysis of 17 randomized controlled trials. Am J Clin Nutr. 2013 Aug;98(2):340-8. doi: 10.3945/ajcn.112.052746. Epub 2013 Jun 26. PubMed PMID: 23803878. 4.Hozawa A, Kuriyama S, Nakaya N, Ohmori-Matsuda K, Kakizaki M, Sone T, Nagai M, Sugawara Y, Nitta A, Tomata Y, Niu K, Tsuji I. 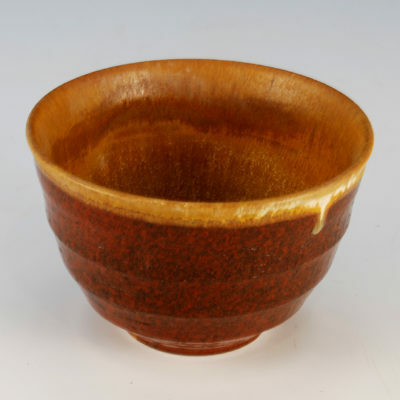 Green tea consumption is associated with lower psychological distress in a general population: the Ohsaki Cohort 2006 Study. Am J Clin Nutr. 2009 Nov;90(5):1390-6. doi: 10.3945/ajcn.2009.28214. Epub 2009 Sep 30. PubMed PMID: 19793850. 5.Riegsecker S, Wiczynski D, Kaplan MJ, Ahmed S. Potential benefits of green tea polyphenol EGCG in the prevention and treatment of vascular inflammation in rheumatoid arthritis. Life Sci. 2013 Sep 3;93(8):307-12. doi: 10.1016/j.lfs.2013.07.006. Epub 2013 Jul 19. Review. PubMed PMID: 23871988; PubMed Central PMCID: PMC3768132. 6. Newsome BJ, Petriello MC, Han SG, Murphy MO, Eske KE, Sunkara M, Morris AJ, Hennig B. Green tea diet decreases PCB 126-induced oxidative stress in mice by up-regulating antioxidant enzymes. J Nutr Biochem. 2014 Feb;25(2):126-35. doi: 10.1016/j.jnutbio.2013.10.003. Epub 2013 Nov 6. PubMed PMID: 24378064. 7. Betts JW, Wareham DW, Haswell SJ, Kelly SM. Antifungal synergy of theaflavin and epicatechin combinations against Candida albicans. J Microbiol Biotechnol. 2013 Sep 28;23(9):1322-6. PubMed PMID: 23711519.